Keith Hoar is a writer and former IBM Certified Business Solutions Expert who consulted for numerous Fortune 100 companies. He designed and crafted CEO/CIO level business intelligence reporting systems, database analysis and loading procedures, and automated software sub-systems for companies such as: Motorola C&E, Cigna Insurance, Hyundai Motors NA, Continental Airlines, Sprint Wireless, Wells Fargo, Banker's Insurance, and Hospital Corp. of America. Keith owns his own consulting company that designs and builds custom software systems and sophisticated Excel-based reporting systems. Keith spent ten years in the United States Navy serving at various duty stations. At his last duty station, Naval Submarine Base New London, he was responsible for maintenance and operation of a periscope approach tactics trainer. His duties included: setup of training scenarios, input of maneuvering orders from the attack center, monitoring of firing point procedures, and tracking and scoring outcome of weapons launch. Keith is a PADI certified SCUBA diver with 100+ dives all over the Caribbean. Keith lives with his wife in Northeast Kansas. 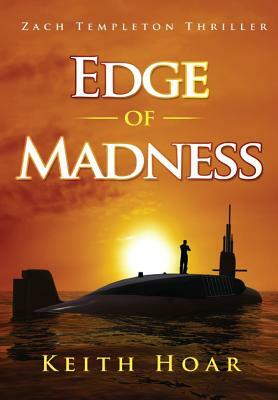 He has also published the novel - Edge of Madness.